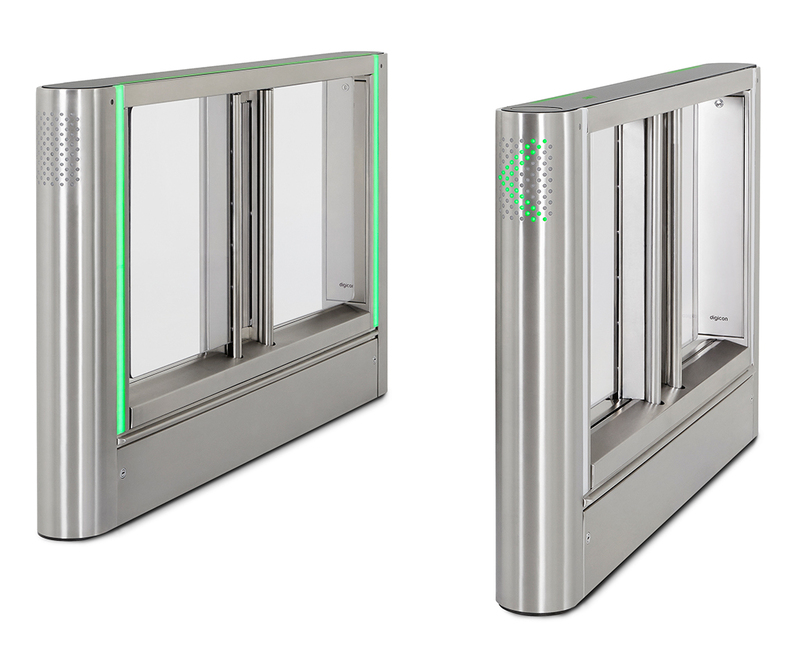 Digicon introduces a new vision for access control gates – one with continuous flows and normally open doors. dFlow is FREE FLOW, ushering new levels of comfort and security. Instead of obstructing users, these are instead welcomed with a fully open passageway and a distinctive system of visual identification. In the event access is not granted, the gate doors will close in proportion to the proximity and speed of the non-authorized user. All this thanks to a revolutionary imaging system, which monitors the entire gate instead of a limited number of specific sectors. The doors are normally open. Traditional gates have their doors normally closed. It is this new paradigm that differentiates a FREE FLOW gate from all those available until now. dFlow is the first gate that fits perfectly within the FREE FLOW concept. Although it seems that dFlow is always open, it actually does have doors.